URGENT! Any lease turned in before 01/15/19 will get a $500.00 discount on first MONTH RENT!!! ( Move in date cant be greater than 03/15/19) Move in ready! Beautiful home built 2014 with front Porch. 3 bedroom, 2 1/2 bath home located in Winter-Spring Village. 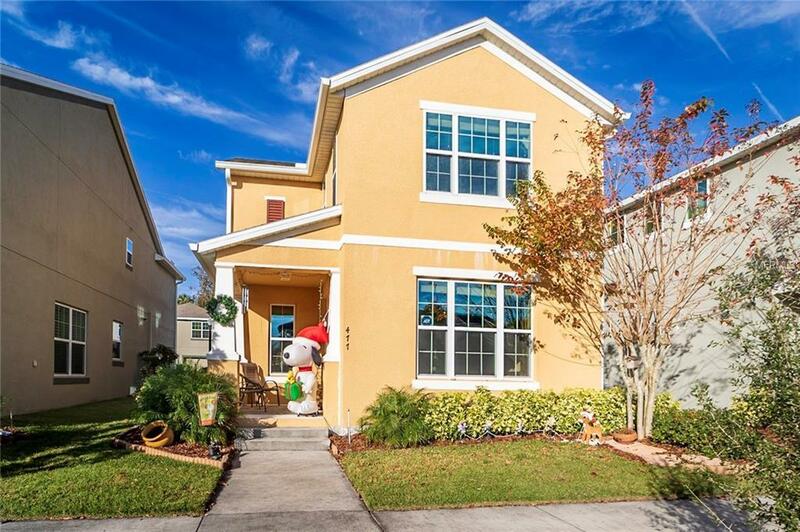 A sought after neighborhood close to shopping, dining, trails, and park. Gorgeous kitchen with light cabinets and stainless steel appliances. Ceramic flooring on the first floor and carpet upstairs in the bedrooms. Tons of natural light from the living room to the kitchen. Loft area/bonus room and three bedrooms are upstairs along with the laundry room. Spacious master bedroom with large vanity and walk-in shower. Washer and dryer are included. Rear entry two car garage. Community pool, playground, and clubhouse. Call today and make this your HOME SWEET HOME!